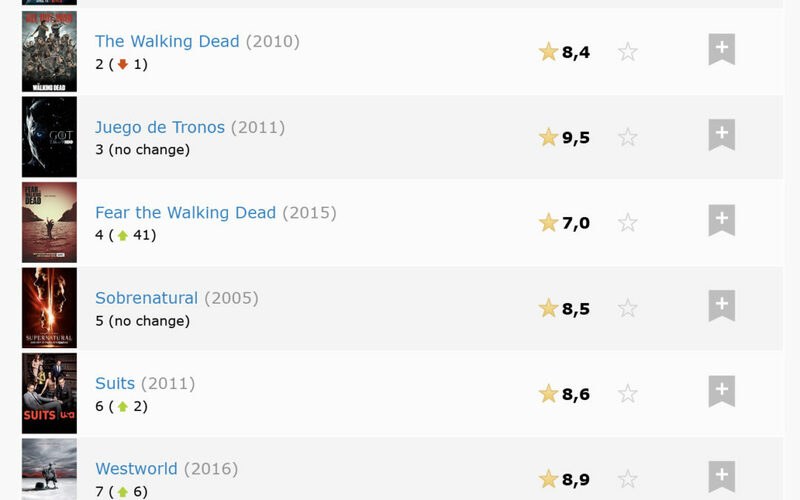 Above ‘Friends’, ‘Breaking Bad’ o ‘Modern Family’, and just seven positions behind ‘Game of Thrones’, ‘La Casa de Papel – Money Heist’, a drama series created by Álex Pina, keeps on climbing positions in the Most Popular TV Shows Chart on IMDb. Presently, the series produced by Vancouver Media holds position 9, out of 100 in the chart, and is the only Spanish drama to enter the chart and to keep climbing on, week after week. 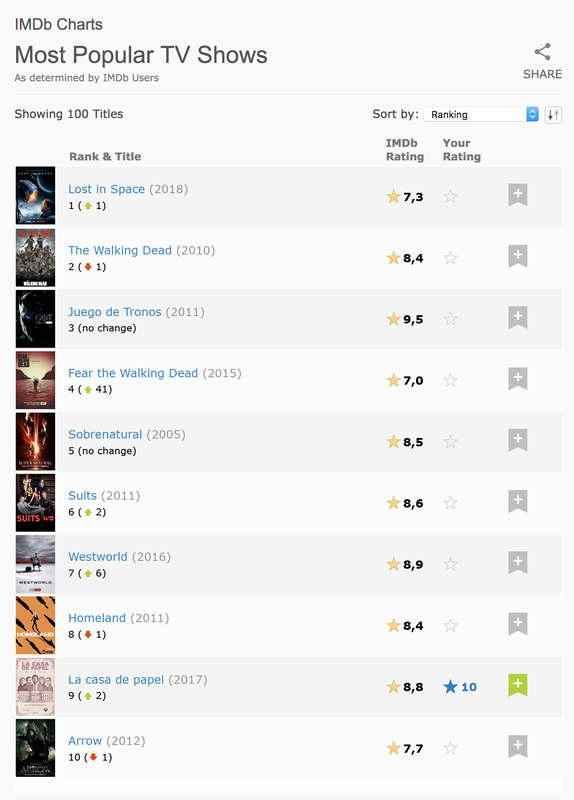 IMDb stands for Internet Movie Database, including both movies and series, and is consulted by more than 100M single users per month. For viewers, it’s a global reference and the site to look up any data about movies, directors, producers, actors and TV series. © 2018 VANCOUVER MEDIA. All rights reserved.